Prepared on your choice of our fresh, homemade rolls, or white bread, kaiser roll, wheat or rye. All subs may be served in a wrap instead. Peppered ham, capicola, salami, American cheese, and your choice of toppings piled high on a homemade sub roll. 4 oz. 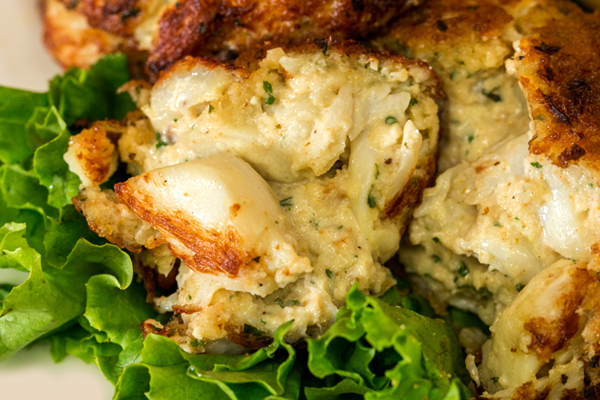 backfin crabcake served your choice of fried or broiled on your choice of bread. 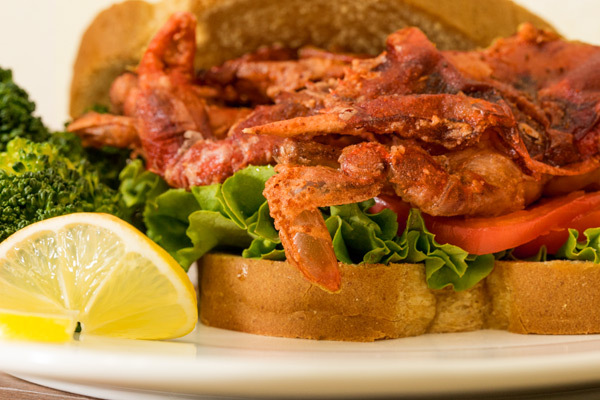 Crispy bacon, lettuce and tomato make up this classic favorite. 2 – 4 oz. all beef patties topped with your choice of cheese and served to your liking. Add bacon for .50 extra. 8 oz. 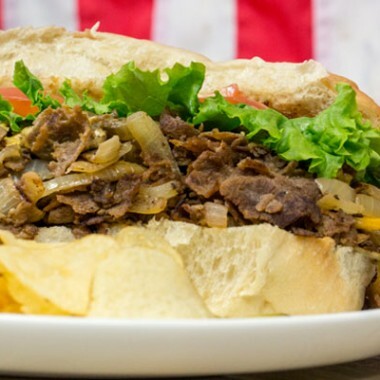 premium ribeye steak grilled to order, covered in melted cheese, and served on a homemade sub roll with your choice of toppings. 8 oz. premium, shaved chicken breast, topped with melted cheese, and served on a homemade sub roll with your choice of toppings. 8 oz. of Little Lou’s special chicken breast topped with your choice of toppings, and served on your choice of bread. Add bacon for .50 extra. 8 oz. premium, shaved chicken breast served on a homemade sub roll with your choice of toppings. Two (2) crispy chicken strips topped with your choice of toppings, and served on your choice of bread. Two (2) codfish cakes topped with your choice of toppings and served on your choice of bread. Your choice of fish, fried to a golden brown and served on a homemade sub roll. Five (5) fried shrimp topped with your choice of toppings, and served on your choice of bread. 8 oz. premium chicken breast, grilled and served on a homemade sub roll with your choice of toppings. 2 – 4 oz. all beef patties served to your liking. Add bacon for .50 extra. 8 oz. of smoked ham and your choice of cheese served on your choice of bread. Served either hot or cold. Peppered ham, capicola, salami, provolone cheese, and your choice of toppings piled high on a homemade sub roll. 5 oz. 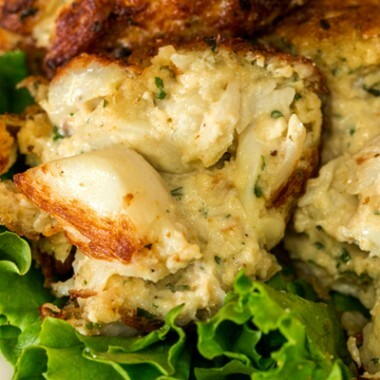 of premium, jumbo lump crab meat. A Little Lou’s Favorite. 8 oz. filet of lake trout served on a homemade sub roll. Three (3) homemade meatballs covered in marinara sauce and served on a homemade roll. Four (4) breaded oysters, fried, topped with your choice of toppings, and served on your choice of bread. 8 oz. premium ribeye, topped in marinara sauce, and melted cheese. Served on a homemade sub roll. A homemade sub roll topped with zesty marinara sauce and melted cheese. Toasted to a golden brown. 8 oz. of sliced roast beef with your choice of toppings, and served on your choice of bread. Five (5) grilled shrimp, topped with melted cheese, and served on a homemade sub roll with your choice of toppings. 8 oz. of homemade shrimp salad, topped with your choice of toppings and served on your choice of bread. 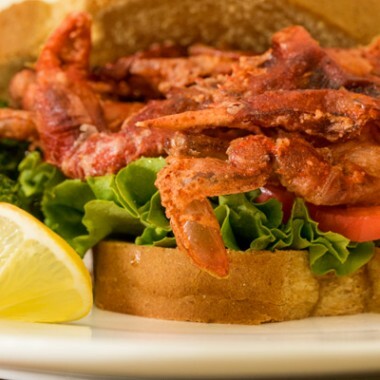 Soft shell crab lightly breaded, fried, topped with your choice of toppings and served on a homemade sub roll. 8 oz. 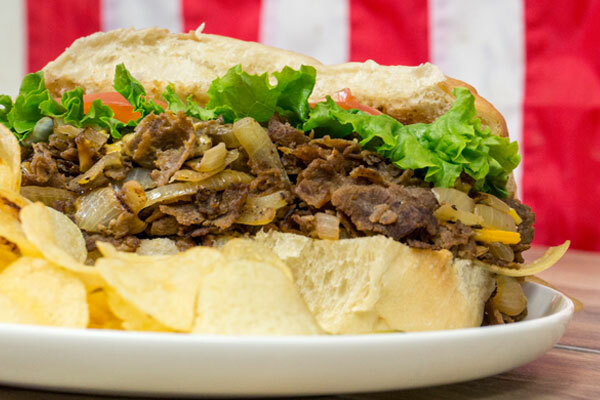 premium ribeye steak grilled to order and served on a homemade sub roll with your choice of toppings. Open-face sandwich with 8 oz. of homemade tuna salad topped with melted cheese, served on your choice of bread, and toasted until golden brown. 8 oz. of homemade tuna salad served on your choice of bread. 8 oz. of sliced turkey breast with your choice of toppings, and served on your choice of bread. Turkey breast and crispy bacon, lettuce, and tomato, pilled high on 3 slices of toast.